The NTSB released the accident docket on a DC-10 hard landing accident at Baltimore/Washington International Thurgood Marshall Airport (BWI/KBWI) on May 6, 2009. The McDonnell Douglas DC-10-30, operated by World Airways as flight 8535, experienced a hard landing failing the left nose tire upon landing on runway 10 at BWI. The flight crew executed a go-around and landed on runway 33L. The flight was a contract Defense Department Air Mobility Command flight from Leipzig Airport (LEJ/EDDP), Germany. There were 168 passengers and 12 crew members on board, 4 occupants were taken to a local hospital, and the first officer experienced a serious injury. 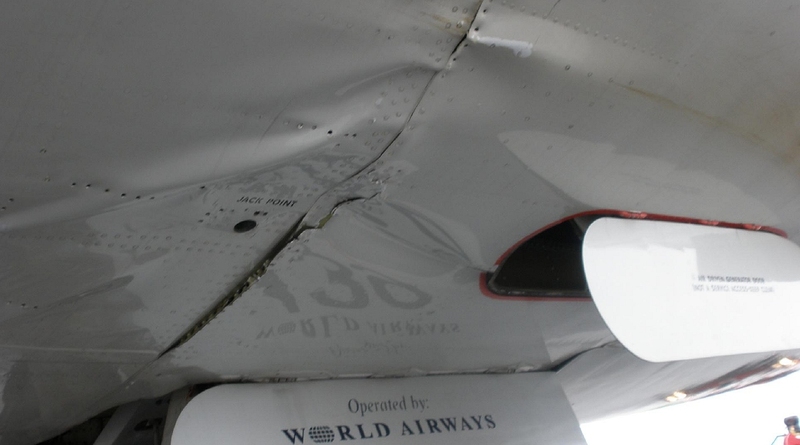 The airplane had substantial damage to the nose gear, electronics and equipment bay, and forward pressure bulkhead. Weather was reported as visual conditions with light winds.